Well, it’s happened. Another year has passed us by and it’s time to make those resolutions to get busy and look like we’re get working. I don’t know about you, but I’ve got a lot of goals this year, most of them involving my writing life and publishing goals. 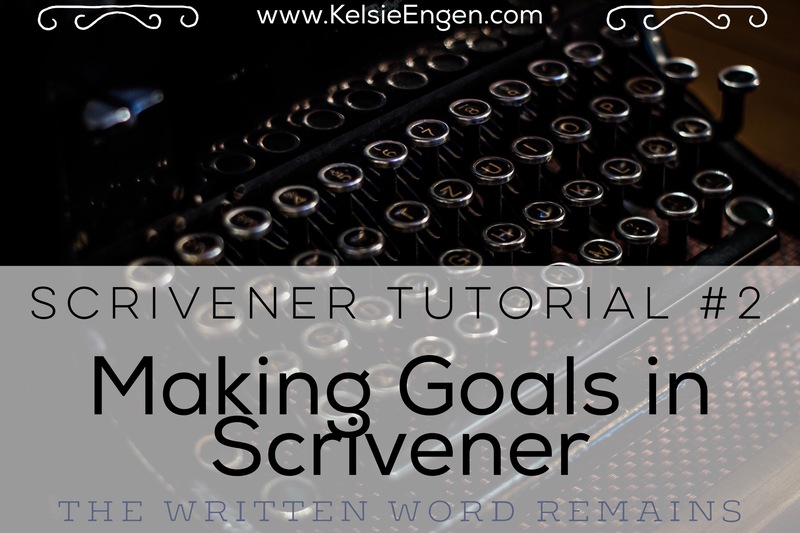 I’ve talked about making writing goals before, and it’s something that, even if I don’t declare to the world or even write down, I often have a type of goal in my head at all times. But sometimes writing is overwhelming, and all too often it’s just too easy to quit. It’s difficult to think long term when long term goals are so big and overwhelming. After all, a novel wasn’t written in a day (well, I suppose it could be done, but most novels aren’t written that way). But every year, people make the goal to finally finish that novel they have stashed away somewhere, and every year people quit somewhere along the way. Why is that? What is it about writing that makes it so hard to finish that novel? And what can you do to not give up? Well, here are a few reasons I think people give up on their writing goals (and why you shouldn’t). When you’re just starting out with writing goals or as a writer, it’s easy to get overwhelmed looking at all you want to accomplish. You want to be a successful published author, you want to write that 100K word manuscript, you want to write a best seller. None of those are bad goals. But trying to tackle them all at once is probably not the best route you could take. Instead, break those big goals down into manageable pieces. Want to be published? What is it going to take to get that done? Obviously you must write the novel, revise and edit it, then find an agent, editor, publisher, and not necessarily in that order. But Rome wasn’t built in day. The solution: What people who reach their goals have in common is that they do something to push themselves toward their goals every single day. 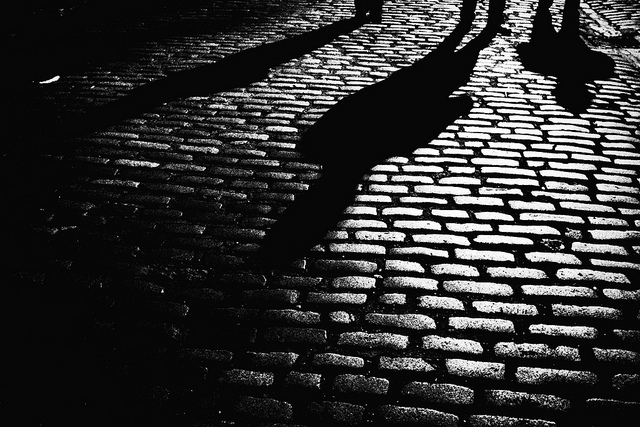 Could you find the name of an agent to submit to today? Could you write 500 words today? Could you research publishing companies? Research cover design if you’re self-publishing? A little step, five minutes here and there every day will march you toward your overall goal. I’m not going to lie to you. Writing is hard work. It’s something that you do, alone, in your own little world, until at one point you’ve done all you can and you’re finally prepared to share it with the world. It’s largely done in secret with little encouragement until your manuscript is completed and then when you do share it, it may not be well received. Nope, writing is not a “hobby” that is often praised–unless you write the next best seller. Then maybe once you publish people will be proud of their writer friend. But until then, you’re pretty much in it alone. The solution: If writing doesn’t feel fun to you anymore, then maybe it’s best to look at why you’re writing or what you’re writing. Or look into finding a writing friend, one who can mentor you or one you can mentor. Experiment with genres, writing prompts, etc. Or, if you need to, take a break from writing. 3) You think you’re not good enough. Every writer starts somewhere. As with any skill, everyone starts out as a beginner. You must learn the skill, learn how to put a story together, how to write good sentences. The proper way to use a metaphor, know story structure in order to properly hold up your story. No one is good enough when they start writing. 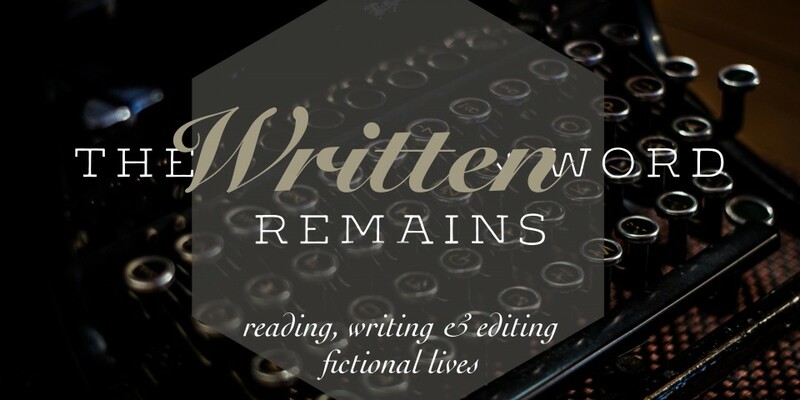 What does every writer has in common? They started writing. The solution: We all must start somewhere. So put your perfectionist streak aside and put down one word after another. That’s how a story gets written anyway: one word at a time. 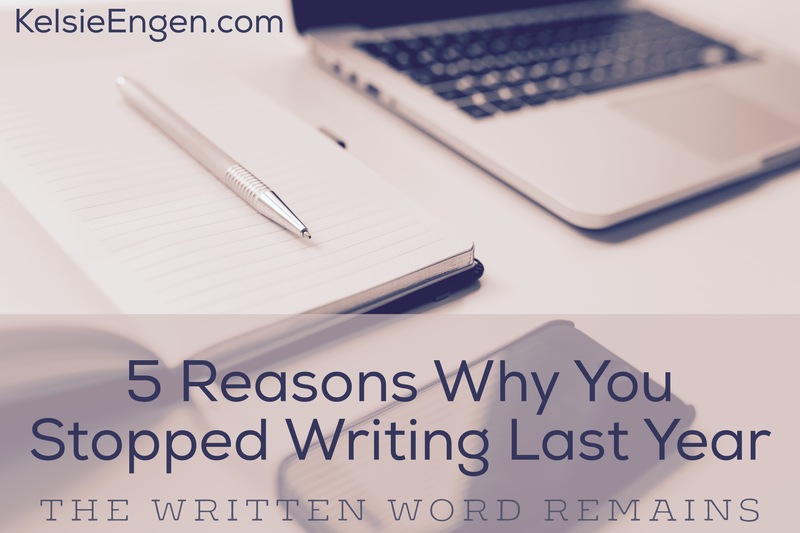 4) Because it’s not over once you write the story. You have to then revise. The solution: The only way to get through that is break down your goal (a readable final draft) into smaller, more manageable pieces. You want a polished, publishable novel, you must work toward that. And to do that, you must tackle revisions. 5) You got tired of rejection. Whether you’re seeking a traditional publishing deal or going it alone with self-publishing, you’re going to deal with rejection. Life constantly hands you rejection, it’s a matter of what you do with it that counts. Every author (and book) has its fair share of haters. You can never please everyone. Just like one person will never be friends with everyone, a book cannot please everyone. Nor should you try. So don’t even bother. That’s not to say that you should not try to produce your best work, you absolutely should. But don’t be worried if someone doesn’t like it–because someone won’t. The solution: You have to develop a rough skin. Look to others who dealt with years of rejection but believed so deeply in their stories that they kept putting it out there, despite being told that no one else would ever want to read it. Persevere. Because eventually, if you believe in it enough, chances are someone else will too. It’s true. Everyone has a story in them. A common reaction when first learning about NaNoWriMo, or National Novel Writing Month for the uninitiated and NaNo for the veterans, is shock and bewilderment. Who, in their right mind, would attempt to write 50 thousand words in 30 days?! Well, no one ever said writers were in their right mind. But if you’re contemplating NaNo, you’ll already have an inkling of something novel, something that ought to be written down. Which means you are exactly the person NaNo is for. Why wait any longer? If you have a story to tell and you’ve been putting it off or been “not quite ready,” what are you waiting for? Take a chance, experiment (it’s only a month after all), and give yourself an extra boost of motivation to finish writing that story in your head. So You Want to Write A Novel in A Month? 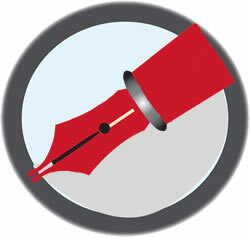 In two short weeks, National Novel Writing Month (NaNoWriMo or NaNo for short) will be upon us again. That’s the month where young (and old) hopeful writers commit to sitting in front of their computers a lot. Oh, and typing approximately 1667 words a day if they want to win. Not familiar with NaNoWriMo? Once upon a time, I wasn’t either. But it’s been a part of my life for several years now, and I can honestly say that it’s what gave my writing the boost it needed. It offered community, encouragement, and motivation. It told me that I wasn’t the only aspiring author out there, and it let me know that getting started was okay, and even that failing to “win” was okay too. What it really teaches isn’t how to write a bestselling novel, but what being a writer is really like. Writers write. And a lot of them write every day. It’s not necessary to do so, see this recent post from a friend’s blog here) but NaNo can be a great way to teach yourself the habit of writing. Expect to put in hard work. Expect to “fail” (read: fall short) on some days. Expect to “excel” (read: catch up) on others. Expect some words or scenes to be so painful that writing is a curse. Expect some words and scenes to flow so effortlessly stopping is a chore. Plan for failure but work toward success. Let one missed day derail your win. Expect to make great friends–unless you cultivate those friendships. Spend too much time in the forums that you forget why you’re there: to write. Think this will give you anything other than a crappy first draft. Forget to love the story you’re writing. Go back and edit until 50K words are written (and validated). 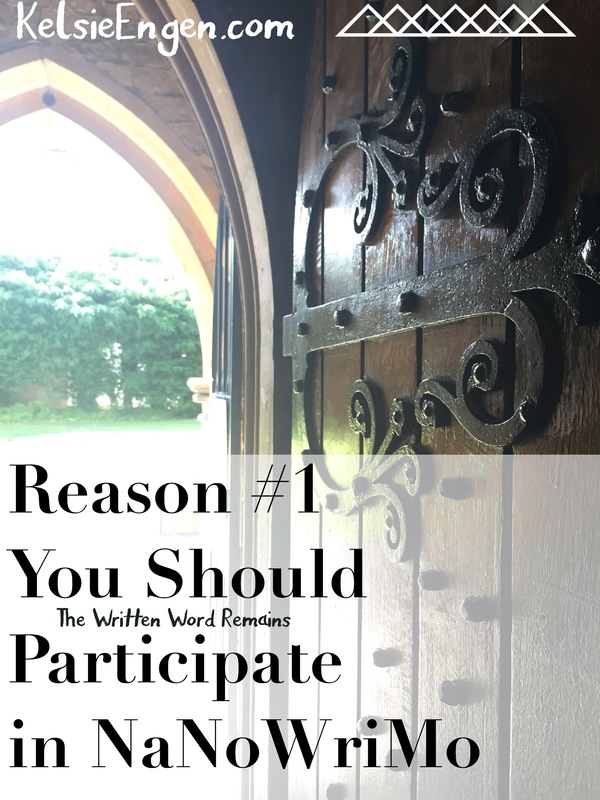 If you’re not in it for the fun, then why are you writing? 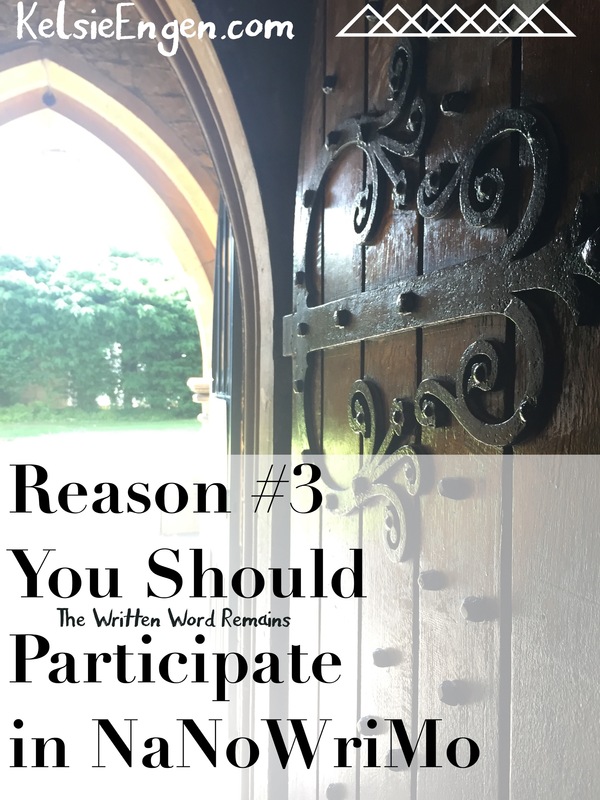 You don’t have to participate in NaNo, but it can be a great way to get motivated to write that novel you’ve been thinking about for years, months, or just weeks. But don’t let this November stress you out. With the holidays approaching (did I really just say that? ), November can be a hard month to fully commit to 1667 words a day. So if the timing isn’t right for you, don’t worry, NaNo will be around next year. And who says you have to be a part of NaNo in order to write? 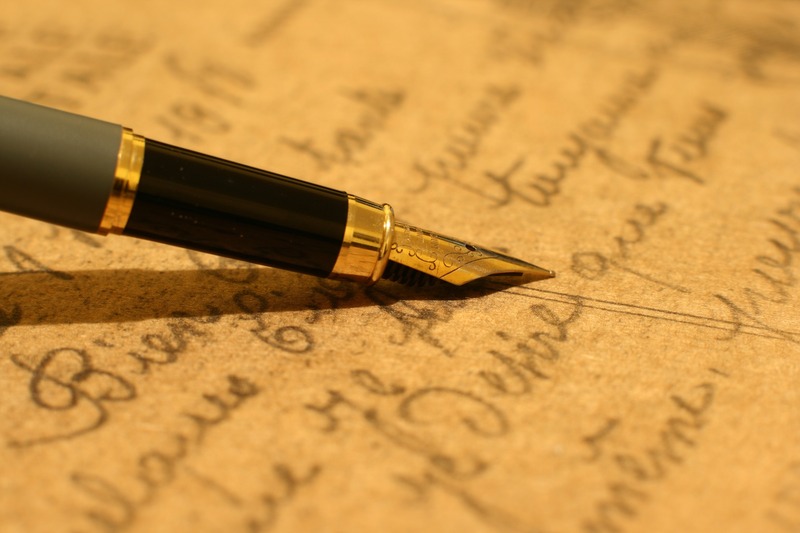 Write what you can, when you can, and eventually you’ll have that novel written! I’ve been writing around my midpoint for a couple of weeks now. When I say “around,” what I mean is that I keep writing toward it, keep approaching it, but keep pushing it further and further away as well. Maybe that didn’t clarify anything after all. Okay, so I have a tendency to write long in my first drafts. I think I’ve mentioned that at some point before. But I write a lot of words in order to have a few which I keep. I’ve aimed to have a 100k novel at the end of this rewrite (which is probably rewrite 2.5, since I rewrote the first half of the novel before realizing I had issues with the plot and then stepped back to outline, after which I started rewriting again). Having 100k words means that my midpoint should hit right at the 50k mark. Ohh. Problems. Because at the time of writing this post, I am at 53,864 words and I have several scenes, probably long ones, to go before I hit the midpoint. Every time I look at that number, I wonder if I’m losing focus. Am I jumping off on rabbit trails with my characters (mostly the subplots)? Am I repeating myself? Or am I creating meaningless conversations just to meet my daily word count? It’s a daily dilemma, really. 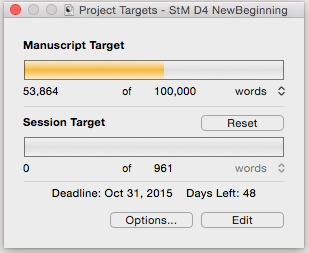 Every time I open Scrivener to start writing, I focus on that little word target. Yep. This one. I want to be at 65k by the end of this month, and I’ll be there. But in terms of being where I should be by 65k, I don’t think I will. If you are familiar with plot points at all, you’ll know that you ought to structure your novel around them. The first plot point (pivot point #1) happens at 20-25%, the midpoint at 50%, and the second plot point (pivot point #2) at 75%. This is the main structure, the three act structure. My novel should fall into that, and I’ve plotted it to be so. In the grand scheme of things–and what I am trying to tell myself–is that at the end of this draft, a few extra words won’t matter that much. If my midpoint is off by a few pages, a few thousand words, it won’t matter too much–that’s what draft 3 is for after all. But I don’t want to clock in at 120k or more. That’s too much, it’s probably going to mean my novel is padded with too much unnecessary story. The middles are always a difficult point for me to write through, and the more I write, the more I realize this. I start to lose my way around the middle. Either I start to lose interest, or I start to think that my novel isn’t good enough, or I begin to think I’ve written too much or not enough. Case in point is draft 1.5, where I abandoned my revision halfway through the novel because I realized that I had a lot of problems with my manuscript as it was; it required extensive revision, more than I could give it in a regular edit–it had to be rewritten completely. So what’s a girl to do when you have to plow through the middle in order to get to the end? Well, it depends. Technically, 5 & 6 were one of my first novels, which topped out at about 200K when I finished the first draft, so I was able to split that into two parts. As a result, I edited Phoenix Reborn so many times that I got sick of it, and realized over and over again that I didn’t like how the story ended, only when I got about 75% of a way through an edit. So do I have a problem? Perhaps. My problem is this: I am a slow, deliberate editor. I don’t want to edit forever–I love writing new pieces, I love participating in NaNoWriMo, and I love new stories. But I also don’t want to publish a work before it’s edited to be as good as I can make it. And right now, not one of these projects are as good as I can make it. As I add more words to my current WIP and write through my midpoint, I have to consciously fight the desire to return to the beginning and give a new read-through, to see if there is somewhere I went wrong and where I have given my characters too much freedom. Why do I fight that urge? Because sometimes getting to the end is worth an extra 10K that I’ll have to cut later, or even an entire subplot. I can’t ever publish this work until I get to the end, and I can’t get to the end unless I shove through this midpoint muddle I’m in. It’s taking persistence and determination, and sometimes, time and energy I simply don’t have. But I persist. Because I know that I am a writer, through and through. I’m not only a writer, but a mother, a wife, a daughter, a sister, a friend… All those things take time and effort away from my writing, but I make time for writing too, because I don’t want to let this story get away from me. August in Review, 2015 Ed. Photo via Flickr.com user DncnH. Well, August has come and gone, and it’s gone fast. I’ve been hard at work on a few things this month, most notably two projects, and then a quick third thrown in for kicks. One is a short story I wrote earlier this year which I plan to self-publish early next year. 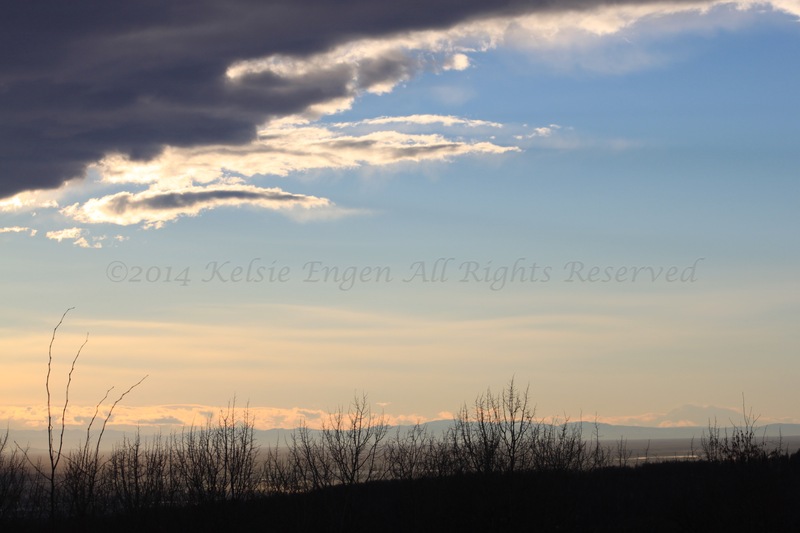 Entitled Bernadette & the Stranger, it’s an unusual piece for me in that I don’t typically write about my home state of Alaska. I know a lot of people are interested in the place, but it’s “just” home to me, and so when this story came to me, I wasn’t sure what direction I would go with it. But I am surprised to actually like it, and feedback on the first two parts of it have been quite encouraging. With only the ending left to be critiqued, an ending which I am planning to rewrite, I am curious to see what type of responses I will get. 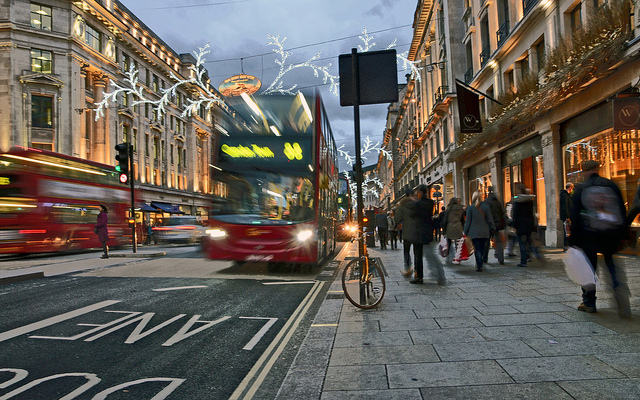 I’m finding that my estimated word counts almost always go long–and my characters like to take little detours down the streets of London. More on that on Wednesday’s new feature posts. But I’m happy with the progress I’ve made in recent months. It’s nice to be out of the planning stage and back into the writing phase. Although I had a rough draft (zero draft) written from this story’s origin in NaNo 2013, it was a draft that needed so much work, after rewriting it to the midpoint last year, I decided to rewrite from scratch entirely again after plotting and reoutlining the story. I think that was a wise decision, as it’s given me more freedom to approach this novel like a fresh piece instead of getting bogged down with what I already have. Maybe I should have started off with this one, because it’s the biggest piece of news I have. That said, it’ll get a post of its own shortly, and a webpage as well. I am in business! After years of being told that I should become an editor, I have officially gotten a business license and am, in fact, a freelance editor. After my son was born, I took a break from critique circles to utilize my free time for my own works. I had a lot to rewrite on StM, and I needed whatever time I could find for it. Although I believe that was wise, I’m reaching a point where I need outside viewpoints, and I was missing the writing circle. (I had participated in NaNo and Camp Nanos during this time though, so I kept up with a few writing friends and made some more.) However, I found that I actually really miss editing others’ works. I enjoy working with other writers to help them develop their short stories, novels, novellas, etc. So I finally listened. I’m an editor now. Well, if you’re looking for an editor with a steal of a deal, drop me a line: writtenwordeditorialservices (at) gmail.com. I’m looking for experience, and you’re looking for an editor. If you aren’t looking for an editor right now, no worries. I’m still going to be around, updating the blog, and writing my own pieces. But don’t be afraid to send me an email, get a sample edit and see if we connect. I’d love to hear from you. In the meantime, back to writing! We all want to be that writer who can boast about fifteen thousand word days or writing a full-length novel in less than a week, putting NaNo participants to shame with their 50K in 30 days. But is there a danger to high word count goals? Or is there a danger to setting word count goals at all? I suppose the answer to these questions depends upon your own personality, and to answer these questions, let’s take a brief rabbit trail into the nature of your goals. In order to achieve your goals, you must first set goals. (I know, that’s pretty obvious, isn’t it?) There is no point in laboring toward something if you don’t know or understand what that something is. So when you set these goals, you probably figured out around when you wanted to be done with your story, and realized you’d have to write X number of words a day in order to finish in time. So, what happens when you set those writing goals? First things first. Let’s hope that the goals you set are attainable. First things first: you need to set a goal. When do you want your story/novella/novel/memoir finished? High aspirations can make you push yourself to achieve better, strive for the best, and can make you into a better version of yourself. Failure is draining even on a small scale like not meeting your word count for one day. Constant failure makes you believe that you aren’t what you want to be, or aren’t what you should be. Constant failure is the sure way to destroy your aspirations and remain where you are. If you set attainable goals, you are giving yourself the greatest chance at success. If you set lofty goals, knowing that to achieve them would require a miracle, you are setting yourself up for failure. When I set high goals, or when I have lofty aspirations, I find that I get discouraged quite easily when I don’t meet those goals. Let’s say I wanted to write 2000 words every day for the next sixty days. That would give me 120K at the end of those days–certainly more than a full length novel. Now, that’s great and all, but if the rest of my life doesn’t make achieving that goal look likely, I’m most likely going to get discouraged when I consistently fail at achieving my goals. On the other hand, goals which are easily attained are great for boosting your confidence and convincing yourself that you are a writer, or making a habit out of something. For example, if you are trying to get in the habit of exercise, walking for five minutes a day is a great way to start. Pretty soon, you can extend that to ten, then fifteen, and you’ll hardly notice a difference, except in the way your pants fit. Make sure though, that you are increasing your goal to push yourself if you’re finding your current goal too easy. Just as in exercise, you can meet a plateau in writing. What happens then? Say you’ve reached the hour mark, you’ve got five pounds left to take off, and your walk just isn’t cutting it anymore. Something has to change. You can keep your walk at an hour, but it isn’t going to serve you any more towards your goal. So either your goal has to change, or your methods have to. Many authors like to be challenged, and writing itself can be challenging. Any author will tell you that one sentence is not as easy to write as another sentence. But 100 words a day? Almost anyone can meet that goal. If you want to be a career author (or maybe just a serious writer), then make writing a habit and increase your goals over time for maximum productivity. Every writer has to start somewhere. Don’t be afraid to start out with low goals–it’s better than discouraging yourself with overly ambitious goals. Don’t compare yourself to other writers (like those who boast about 15K words in a day). Compare yourself to yourself–compete with yourself. But know that, some days, no matter how hard you try, life is going to get in the way of your word count. 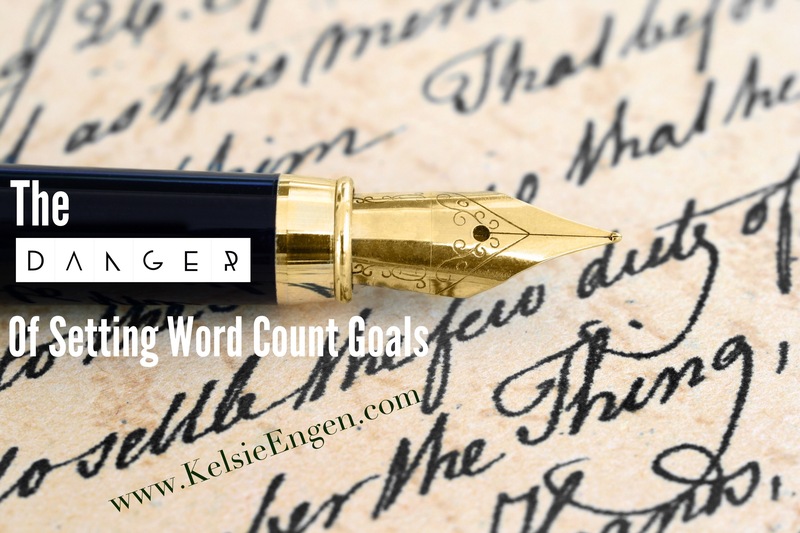 When you have extra time in your day, don’t be afraid to write above your word count goal. If you are in a flow, go with it! Setting a low goal and constantly achieving it can give you an excuse to be satisfied with your productivity, when you could be producing much more each day (and getting much further in your writing career!). But if counting words doesn’t appeal to you, or simply doesn’t motivate you, try writing for a certain amount of time per day. Set a kitchen timer for five minutes and write until the timer goes off. When you’ve mastered that five minutes a day and created a habit–turn up the timer to 10 minutes. Challenge yourself, repeatedly, and you’re bound to see results!